This may be the perfect time to release this article in connection with the (almost) 50% fall of CAL (Calata Corporation). 1. Trading is simple, but it’s not easy. if you want to stay in this business, leave hope at the door, focus on specific setups, and stick to your stops. 2. Trading should be boring, like factory work. if there’s one guarantee in trading, it is that thrill seekers and impulse traders get their accounts ground into parking meter money. 3. Amateur traders turn into professional traders once they stop looking for the “next great technical indicator” and start controlling their risk on each trade. 4. You are trading other traders, not the actual stock or futures contract. who is taking the other side of your trade? is it an amateur who is chasing or a professional who has been patiently waiting for this entry all day? you have to be aware of the psychology and emotions on both sides of the trade. 5. Be very aware of your emotions, irrational behavior is every trader’s downfall. if you are yelling at your computer screen, imploring your stocks to move in your direction, you have to ask yourself, “is this rational?” ease in. ease out. keep your stops. no yelling. the person who is screaming should be the one on the other side of your trade. 6. Watch yourself if you get too excited–excitement increases risk because it clouds judgement. if you are feeling peak excitement, it probably means the move is just about over. tighten your stop and look to reverse. 7. Don’t overtrade–be patient and wait for three to five good trades. 8. If you come to trading with the idea of making big money, you are doomed. this mindset is responsible for most accounts being blown out. 9. Don’t focus on the money. Focus on executing trades well. if you are getting in and out of trades rationally, the money will take care of itself. 10. If you focus on the money, you will start to try to impose your will upon the market in order to meet your financial needs. there is only one outcome to this scenario: you will hand over all your money to traders who are focused on protecting their risk and letting their winners run. 11. There’s no need to trade 5 days per week. trade 4 days per week, and you will be sharper during the actual time you are trading. 12. Refuse to damage your capital. this means sticking to your stops and sometimes out of the market. 13. Don’t overweight your trades. the more you overweight a trade, the more “hope” comes into play when it goes against you. remember, hope to trading is like acid to skin. 14. Professional traders take losses. being wrong and not taking a loss damages your own belief in yourself and your abilities. if you can’t trust yourself to stick to your stops, whom can you trust? 15. Once you take a loss, you naturally forget about the trade and move on. do yourself a favor and take advantage of any opportunity to clear your head by taking a small loss. 16. If you are hesitating to get into a position when you have a clear signal, that indicates that you don’t trust yourself, and deep inside you feel that you may let this trade get away from you. just get into the position and set your parameters. traders lose money in positions everyday. keep them small. the confidence you need is not in whether or not you are right; the confidence you need is in knowing you execute your setups the same way each and every time and do not deviate from the plan. the more you stick to your parameters, the more confidence you will have as a trader. 17. Traders never believe that they will blow out their account. always realize you will become a candidate for this if you don’t stick to your trading rules. 18. Amateur traders always think, “how much money can i make on this trade?” professional traders always think, “how much money can i lose on this trade?” traders who control their risk take money from the traders who are thinking about the red BMW they are going to buy. 19. Professional traders focus on limiting risk and protecting capital. 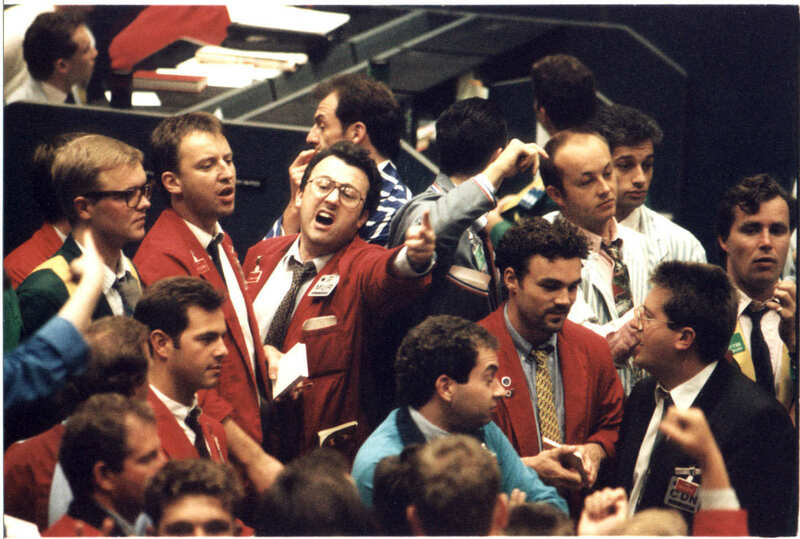 amateur traders focus on how much money they can make on each trade. 20. At some point traders realize that no one can tell them exactly what is going to happen next in the market, and they can never know how much they are going to make on a trade. thus the only thing left to do is to determine how much risk they are willing to take in order to find out if they are right or not. To sum it up, when trading in the market, always remember to BE RATIONAL, NOT EMOTIONAL. Losing is inevitable, but with a winning attitude, we can be winners in the most dreadful situations. In learning more about investing, entrepreneurship and personal finance, it is necessary to understand the different words and terms surrounding them. For now, here are FIVE of my personal picks of financial/economic words. Collateral– this word is used in the financial transaction between the lender and borrower. Often times, when entrepreneurs seek capital from a financial institution, they use their assets (personal belongings and material goods) as a “collateral” or security for their loan. Should the borrower default on payments, the lending institution has the legal authority to confiscate those assets. Ex. The business owner of that bar used his house in Alabang as COLLATERAL to get a loan from the bank, which he wanted to use to expand his venture. Due Diligence– This is the process whereby individuals or groups of people conduct independent investigations regarding a particular matter. 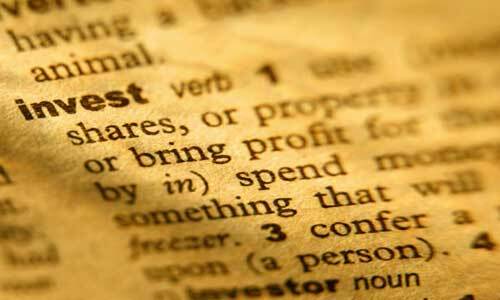 In the business world, investors conduct timely due diligence when inquiring about prospective investment endeavors. This may entail a background search of the company’s founders, review of the entrepreneur’s credit scores, and routine follow-up with references and associates, etc. New business owners, on the other hand, are encouraged to also conduct due diligence when finding a potential investor. Through due diligence, both the investor and entrepreneur has the opportunity to diligently analyze and assess each other for the potential of an investment opportunity and partnership. Ex. Any good investor practices DUE DILIGENCE before he enters a stock position. Matt had exercised DUE DILIGENCE when he wanted to know more about a certain industry he would like to get into. 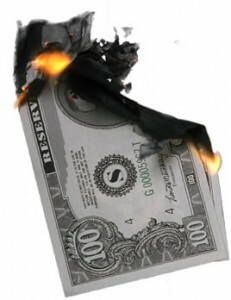 Depreciation– This term refers to the gradual loss in value of currency, stocks, and material goods. Ex. My neighbor sells his car every five years and buys a new one to counter the vehicle’s DEPRECIATION. Equity– This designation is given to a stockholder’s ownership in a company. The amount of ownership is obtained when an individual or corporation purchases one or more shares of stock (equity shares). The more equity purchased, the greater the ownership. Ex. Manny V. Pangilinan has the biggest EQUITY stake in Meralco as of now. Ex. Angel Investors tend to invest in startups and early stage companies. Because such investment is considered to be risky, they expect a large ROI to compensate for such risk. I am expecting my ROI to be 100% within the first 2 years of our business operation. Stock Market Pilipinas, a forum on stock market trading in PSE, celebrates its 1st year of foundation on May 19, 2012 in Microtel, MOA, a day after the IPO of Facebook. SMP, led by Mr. Ollie Azarcon (Comm Ollie), gathered more than a hundred traders actively participating in the forum to celebrate and learn more about the stock market as the festivity’s main theme was “Penny Stocks: Avoiding the Pump and Dump Trap”. 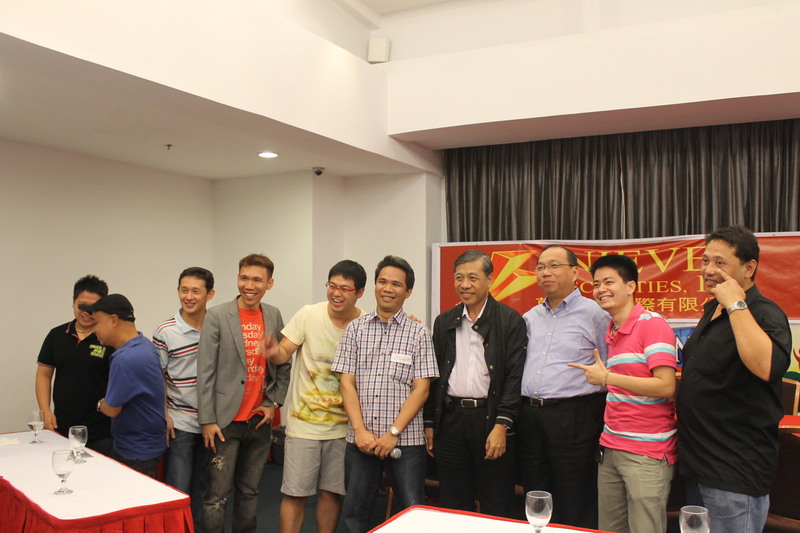 Some of the notable speakers during the event are Mr. Edward K. Lee, Chairman of COL Financial, and Mr. Spyfrat Segovia. The event has been sponsored by Nieves Securities Inc., Unicapital Inc., and Calata Corporation. Makes sense? Let me give non-financial situations where we mix up facts from opinions. Sounds familiar? What’s the common denominator among these statements? ALL ARE MERE ASSUMPTIONS AND OPINIONS. And the worst part is, WE OFTEN LISTEN TO SUCH ADVICES. None of these are facts, because FACTS, as defined by the Oxford Dictionary, are things or situations that are proved to be true. Do you think any of these are backed with proven information? We can’t know if Jessica Sanchez wins or not until results are shown tomorrow (Let’s vote for her!). We can’t know if a guy can be a good husband until he becomes one. We can’t know if a woman is out of your league until you try. Whatever people say now are just assumptions. We have to stop assuming and listening to opinions without doing further study, research, or action. Not until something is proven, it cannot be a fact. Hanggang dito ka nga lang ba? You can’t say you can be rich until you do something about it. I remember a passage from the website of Mr. Anthony Pompliano that inspired me to continue my advocacy. It says there “Some people dream of success, others make it happen.” After contemplating this passage, I knew inside me that I am not just a dreamer; I want to make things happen. As Mr. Edward K. Lee, Chairman of COL Financials, put it, there are two kinds of failure. “Thinking without Doing” and “Doing without Thinking”. Now let’s incorporate it to personal finance and investments. There are so many opinions out there don’t you think? And some are even contradicting each other. So who should you listen to? My answer is “none other than YOURSELF”. Learn how to study and research what’s best and stop depending on others. Robert Kiyosaki’s rich dad called it Due Diligence, defining it simply as doing your own homework and finding out which statements are facts and which are opinions. True enough, people nowadays want everything instant and fast to the point that they will search for shortcuts to anything and skip Due Diligence in the process. People hate to research and usually just depend on other people’s say on things, which are most of the time, unreliable as well. During the fall of the market in October last year, everybody said buy Gold because it’s the safe haven during bearish markets. For a moment, gold almost hit $2000 per ounce, and everyone had expected for it to surpass that level. Now, everybody who bought near $2000 have almost lost 25% of their investment as Gold falls off to $1500 levels. Everything changes in time, and certainty is not in the vocabulary of the future. We can make all the assumptions we can, but everything would still be uncertain. But we can be close to certainty if we know how to conduct Due Diligence, because backed with the proper information and data, we can definitely be confident with the crucial choices we need to make for our future. The more specific meaning of the term commodity is applied to goods only. It is used to describe a class of goods for which there is demand, but which is supplied without qualitative differentiation across a market. A commodity has full or partial fungibility; that is, the market treats it as equivalent or nearly so no matter who produces it. “From the taste of wheat it is not possible to tell who produced it, a Russian serf, a French peasant or an English capitalist.” Petroleum and copper are examples of such commodities. The price of copper is universal, and fluctuates daily based on global supply and demand. Items such as stereo systems, on the other hand, have many aspects of product differentiation, such as the brand, the user interface, the perceived quality etc. And, the more valuable a stereo is perceived to be, the more it will cost. In contrast, one of the characteristics of a commodity good is that its price is determined as a function of its market as a whole. Well-established physical commodities have actively traded spot and derivative markets. Generally, these are basic resources and agricultural products such as iron ore, crude oil, coal, salt, sugar, coffee beans, soybeans,aluminum, copper, rice, wheat, gold, silver, palladium, and platinum. Soft commodities are goods that are grown, while hard commodities are the ones that are extracted throughmining. There is another important class of energy commodities which includes electricity, gas, coal and oil. Electricity has the particular characteristic that it is usually uneconomical to store, hence, electricity must be consumed as soon as it is produced. Commodification (also called commoditization) occurs as a goods or services market loses differentiation across its supply base, often by the diffusion of the intellectual capitalnecessary to acquire or produce it efficiently. As such, goods that formerly carried premium margins for market participants have become commodities, such as generic pharmaceuticals and DRAM chips. There is a spectrum of commodification, rather than a binary distinction of “commodity versus differentiable product”. Few products have complete undifferentiability and hence fungibility; even electricity can be differentiated in the market based on its method of generation (e.g., fossil fuel, wind, solar). Many products’ degree of commodification depends on the buyer’s mentality and means. For example, milk, eggs, and notebook paper are considered by many customers as completely undifferentiable and fungible; lowest price is the only deciding factor in the purchasing choice. Other customers take into consideration other factors besides price, such as environmental sustainability and animal welfare. To these customers, distinctions such as organic-versus-not or cage-free-versus-not count toward differentiating brands of milk or eggs, and percentage of recycled content or forestry council certification count toward differentiating brands of notebook paper. The word commodity came into use in English in the 15th century, from the French commodité, to a benefit or profit. Going further back, the French word derived from the Latincommoditatem (nominative commoditas) meaning “fitness, adaptation”. The Latin root commod- meant variously “appropriate”, “proper measure, time or condition” and “advantage, benefit”. Recently, many industry individuals have begun to identify workers’ compensation insurance as a commodity. In the original and simplified sense, commodities were things of value, of uniform quality, that were produced in large quantities by many different producers; the items from each different producer were considered equivalent. On a commodity exchange, it is the underlying standard stated in the contract that defines the commodity, not any quality inherent in a specific producer’s product. 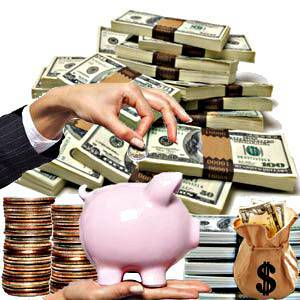 A lot of people believe that it is wise to save money in the banks. This is widely practised by people in the E and S Quadrants. Unknowingly, they are practising the worst financial strategy (SAVING) and are putting their money in the worst investment avenue (BANKS). The word Bank is believed to have originated from the Middle French word banque and the Old Italian banca, which both means bench. I have to agree with its origins, because in banks, your money is literally benched; YOUR MONEY DOESN’T GROW. It doesn’t grow? I thought my money’s supposed to grow in banks through interest since they use the money I deposit and lend it to other people? You’re not making sense Magellan. TRUE. Banks give you interest for the money you put in their banks. Why wouldn’t they? They are making really good money using your money. That’s why a regular bank gives you 1% earning from your savings account. 1% out of the 10% (modest sample rate) they are earning from interest by lending your money to other people. Isn’t that a good deal? You only get 10% of the total earnings of YOUR OWN MONEY that the banks use. Magellan, how about Time Deposit? Don’t they give a decent interest rate for those? Aside from the restrictions on your account, the average percentage a time deposit account can give is around 6-7%. Not bad don’t you think? But if you’ve heard about Inflation, you’d think twice before going for this. Inflation is an increase in the general level of prices of goods and services in an economy over a period of time. When the general price level rises, each unit of currency buys fewer goods and services. Consequently, inflation also reflects an erosion in the purchasing power of money – a loss of real value in the internal medium of exchange and unit of account in the economy. For the 1st Quarter of 2012 alone, the Philippine Consumer Price Index has indicated that the inflation rate is at 3.5%. That means that the prices of our goods have already increased by that much since January. Sooner or later, whatever you’ve deposited in your Time Deposit Account would lose much of its value despite the increase you get from interest. I have to point out that the achieving financial freedom requires beating inflation, because even if you have a million pesos and yet the average price of commodities like rice and other food are around a thousand pesos per kilo, then what good is your million? Your million today won’t be worth a million five years from now. IN BANKS, YOU DON’T GET TO BEAT INFLATION. Your money would have lost much its value before you know it. So how do we beat inflation and preserve the value of our money? Learn how to invest instead of saving. I said LEARN, not ASK someone to invest for you. I will elaborate on several practical investing media (Portfolio Investments, Real Estate, etc.) on a separate article for E’s and S’s who want to start small first. This formula helped me a lot back in college. It was my introduction on how to save and how to think about my future. But then again, as I learn more and more about proper investing, I have come to a realization of how I am losing money while I bench them out in banks for a period of time under the vicious presence of Inflation. In my article entitled “Being in the Right Quadrant”, I pointed out that there is a difference between Saving and Investing. Both involve money, and both intend to prepare you for your future financial needs, but the methods being used are way different. Robert Kiyosaki notably said that “Savers are Losers”. In my opinion though, Savers should be called “Beginners”. I save 50% of my current income. Half of my savings goes to my investments, and the other half goes to my business capital. Whatever’s left from my income after I take out my savings is all I would spend. Learn to save, so you could learn to invest. Always take a scenario where what ifs are present. What if I lose my job tomorrow? What if I get sick? What if my company closes down? You have to anticipate such events so that you can at least be prepared when one of these incidents comes uninvited. According to my dad’s friend, Mr. Manny Lopez, an executive in Land Bank, A regular person is supposed to have a contingency plan where he can sustain his needs (including his family) for three months even if he loses his job today. Now, I ask you, would you still want to bench your money in the banks? Will you be able to sustain your needs if you lose your job tomorrow? Well, that’s all for now. In the meantime, always remember that all things great start with a small vision. Keep believing, and start doing! Attention: Some of the ideas that are presented may seem unorthodox. To those who are new to such financial activities, I suggest you still consult professionals on such matters.